Santa Claus came early for the Shelby County Parks Foundation with an anonymous gift of $10,000 for Phase 2 of the Greenway Trail. That brings the total of private donations for this project to a little more than $113,000, according to Clay Cottongim, volunteer consultant to the Foundation. “The trail has been cut, thanks to Barry Campbell who donated countless hours of excavation work and removing trees along the creek,” Cottongim said, referring to the trail that begins off North Seventh Street, on the left, after crossing the bridge. A community park will be established at the beginning of the Phase 2 trail, thanks to the donation of about 22 acres by Citizens Union Bank. Plans are to blacktop the trail next summer and to construct bridge paths to connect Phase 1 with Phase 2 to existing trails to Brentwood Subdivision, Painted Stone Elementary and Lake Shelby. WOOFSTOCK 2018 will be September 15 with Anna Simpson as chairwoman. Stay tuned for details. The Shelby County Parks Foundation has received a $10,000 donation so construction will definitely begin this fall along Clear Creek off North Seventh Street where the Citizens Union Bank Community Park sign has been erected. That was the final amount needed to match the $100,000 grant from the state. The funds came from Dan Burk and his wife, Linda Hill, owners of Farrier Product Distribution on Haven Hill Road. Construction should begin on the Phase 2 of the Greenway Trail along Clear Creek off North Seventh Street – thanks to those who participated in bicycle ride fund-raisers June 3 and an anonymous gift of $40,000. Parks Consultant Clay Cottongim was overwhelmed when an individual approached him as a result of the Parks Poker Pedal and Parks Pedal Party events earlier this month. “The person was willing to give the money as long as it remained anonymous… and in the spirit that it would be a challenge to others to meet that amount so the Phase 2 plans could move forward,” he said. The Shelby County Parks Foundation received a $100,000 matching state grant. This anonymous gift and the $5,000 raised by the cyclists leaves about $11,000 that still needs to be collected. Cottongim said individual donations have been received ranging from $50 to $1,000 – along with an anonymous $10,000 and $5,000. Cottongim explained that a tract of land valued at about $65,000 was donated by Citizens Union Bank as well. “We are thrilled to see the positive response from the public. 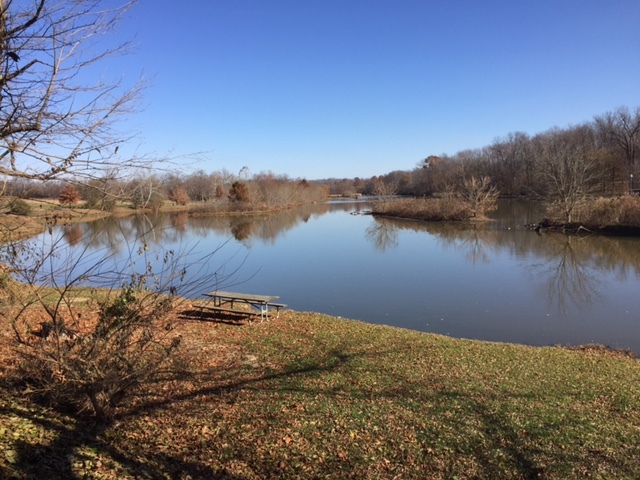 It shows Phase 1 was a welcomed addition to the parks system and that citizens want more,” Cottongim said, explaining that tax-deductible donations can be mailed to Parks Foundation, 715 Burks Branch Road, Shelbyville KY 40065. Mark your calendars now for the Shelby County Parks Foundation’s fifth annual WOOFSTOCK event on September 16th at Michael Kay’s Bark Park in Red Orchard Park located at 704 Kentucky Street in Shelbyville. There will be events, competitions, fun and games for the whole family, especially your dogs! Dog events will include lure coursing, dog trick contests, doggie demonstrations, fashion contests and more for four-legged friends. There will also be booths of all kinds, food, music including live bands and other forms of entertainment for two-legged friends. Camp Hi-Ho will again be the main sponsor, but there is plenty of opportunity to sponsor an activity, competition or another item for the dogs, according to Chairperson Cynthia Cottongim. Sponsors for each event, vendors and volunteers are needed; proceeds will benefit the Shelby County Parks Foundation to continue improvements for the Bark Park. Sponsorship opportunities begin at $50, with your name included on everything from banners to ads and T-shirt advertisement. Booth spaces are also available for $30. Individuals and businesses can contact Cottongim at 321-0282. Items are also being solicited for the silent auction, being coordinated by Beth Wood, who can be reached by calling 321-2549 to donate items. All donations are tax-deductible. “Put your pedal to the pavement” could be send-off cheer for the second annual Park’s Poker Pedal and Park’s Pedal Party events planned for Saturday, June 3. Starting at the amphitheatre at Clear Creek Park, the two bicycle events will benefit the second phase of the Greenway Trail off North Seventh Street. Parks consultant Clay Cottongim said hundreds have enjoyed walking, hiking, biking and jogging along the first Phase of the Greenway Trail that winds its way along Clear Creek. The second phase has received a $100,000 matching grant toward which land and monetary donations have been made. However, Cottongim said the goal for the June 3 activities is to bring in $25,000. The overall master plan will take the Greenway Trail eventually to Red Orchard Park. This two-mile stretch is off North Seventh Street, starting at the Seventh Street bridge and running around behind Calvary Cemetery, school and private properties to connect to Lake Shelby. The Park’s Pedal Party will use some existing paved trails from the park to Lake Shelby and to adjacent neighborhoods. It travels 2 to 8 miles with a $8 registration fee single; $24 for family of four; $6 each additional family member; children 5 and under free. The Park’s Poker Pedal begins at 8:30 a.m. with the Park’s Pedal Party beginning at 10 a.m. (Raindate is June 4). Riders for both non-competitive events can register online at www.headfirstperformance.com. Late registration fee is an additional $10. Registration forms can also be obtained at Clear Creek Park. Questions can be directed to Cottongim: 502-437-5244 or 502-321-0612.